I play fielderly hockey. 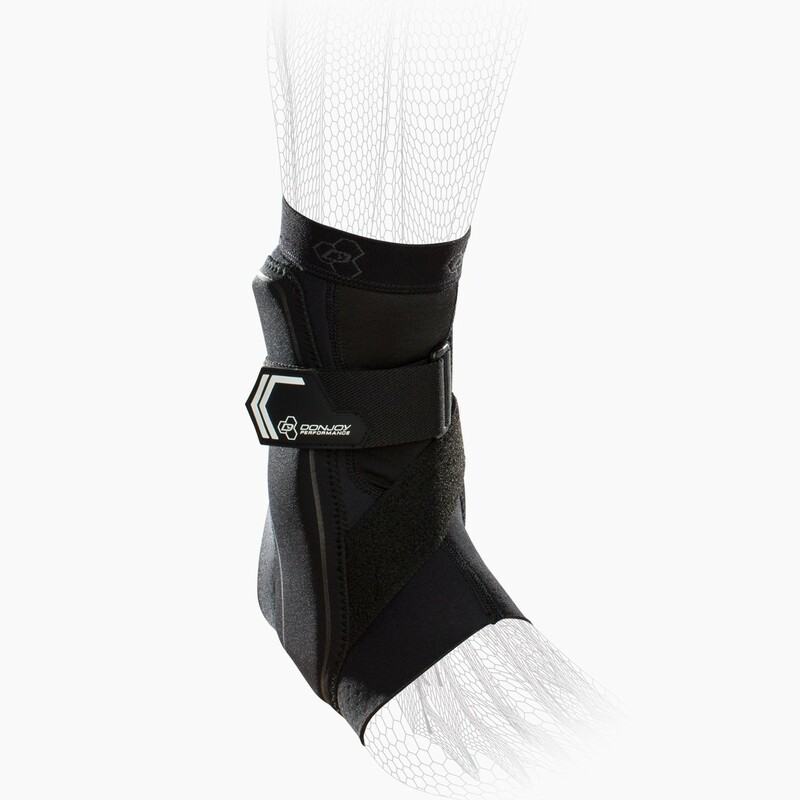 Would this brace fit comfortably under a field hockey shin guard? 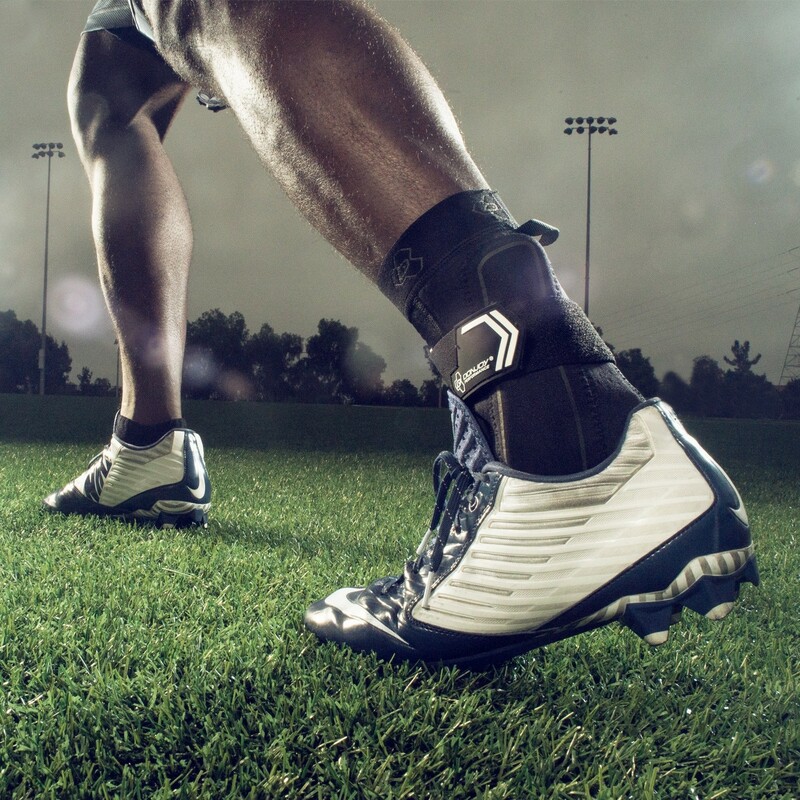 Yes, you could wear the Bionic Ankle Brace under your shin guard. Is the size of the calf on a medium bigger than the size of the calf on a small? 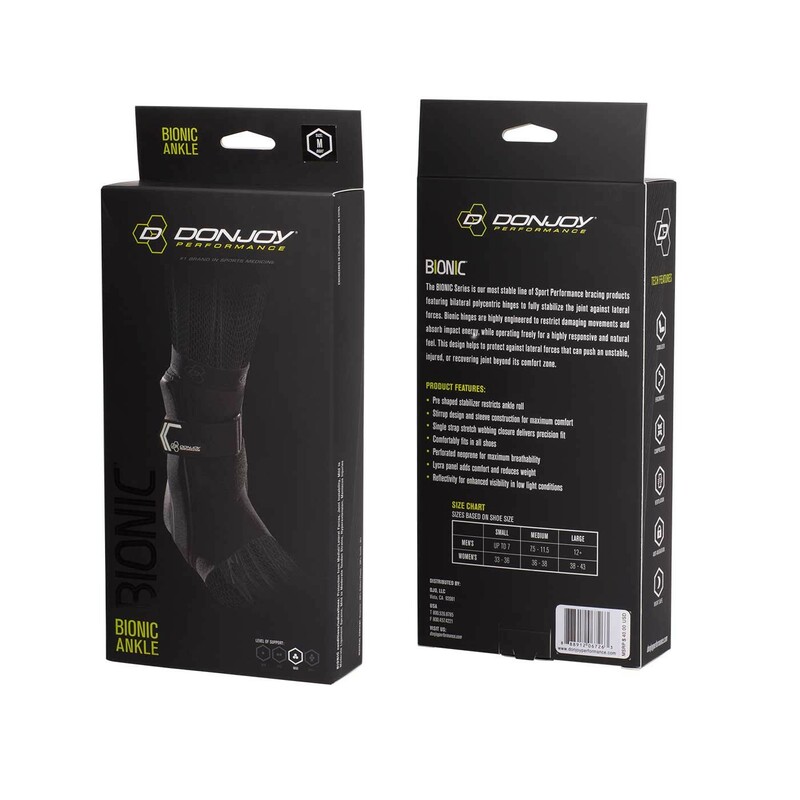 Our Donjoy Bionic Ankle Brace goes below the calf, sizing wouldn't be an issue and would be based of shoe size. What is the bar made out of? I play rugby and can't have metal at all. Also, I know it says 5-8.5. I'm a size 6 and I find all 'small' braces are still too big. Will it fit snuggly on a size 6 in a cleat? Does the bar that is on the medial and lateral sides wrap under the bottom of the foot? Yes the medial and lateral support does connect underneath the foot. It's low profile, flexible and doesn't compromise comfort. What part of the foot do I measure for the fitting? 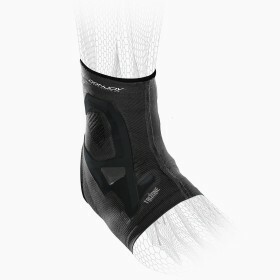 How does this compare to the Aircast A60 in terms of support? I have a partially torn peroneus brevis and although the A60 is usually sufficient, at times it isn't quite rigid enough. 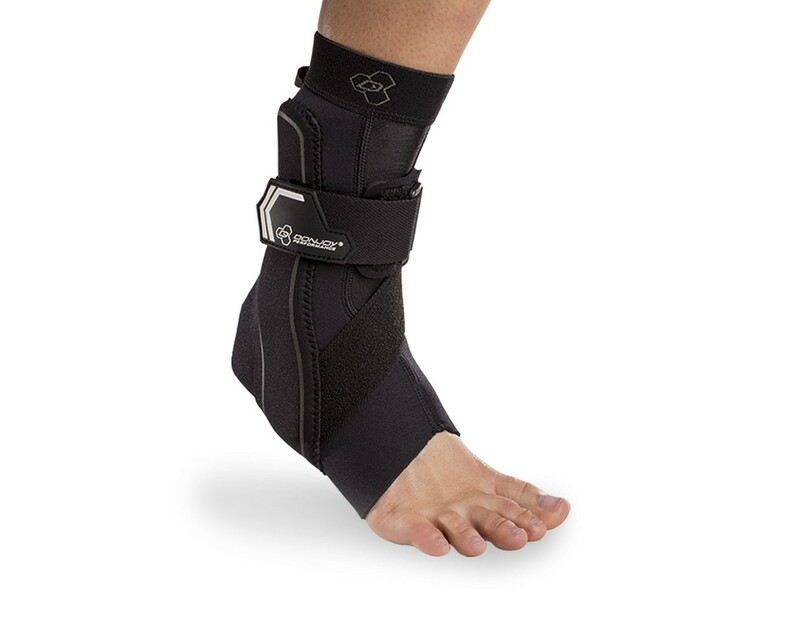 Also, I wear the brace in non-athletic shoes, so bulk is important to me as well; how does this compare to the A60 in terms of how "wide" it is? This brace is the same bulkiness as the A60 and the same support level. 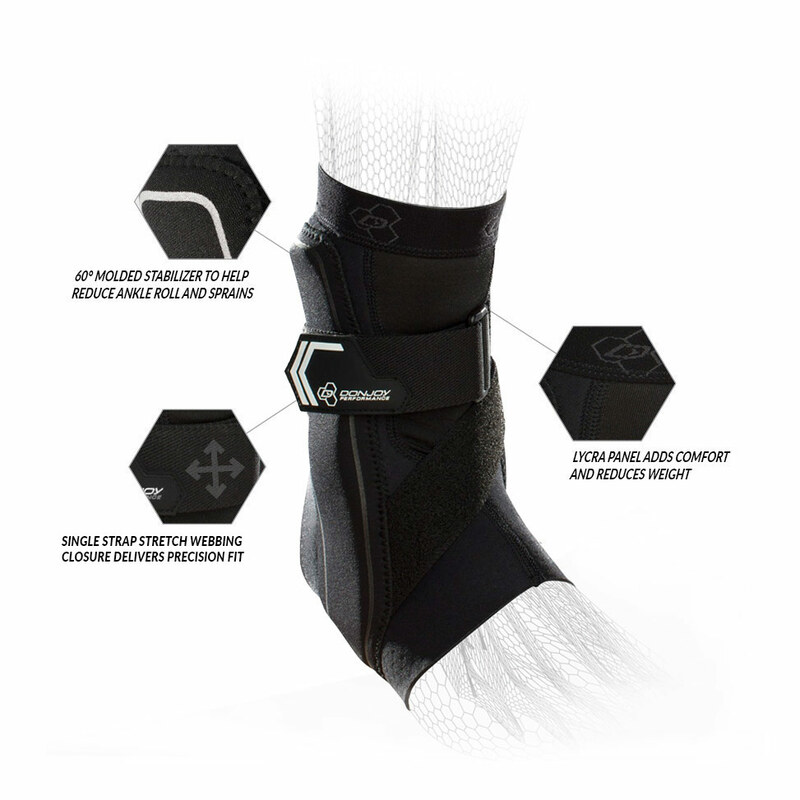 If you want something more supportive the next step would be either the Airsport Ankle brace of the Don Joy Stabilizing Pro Ankle brace. The Stabilizing Pro is less bulky than the AirSport. Is there a stabilizer on the inner side as well? Is the support running down the outside of the brace a hard rigid piece? Yes, it is a rigid 60deg molded plastic support. 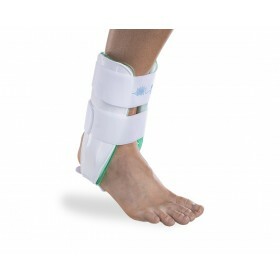 This brace is comfortable but still has very good support. I have used it for several different sports. Cons: Difficult to get on and off. 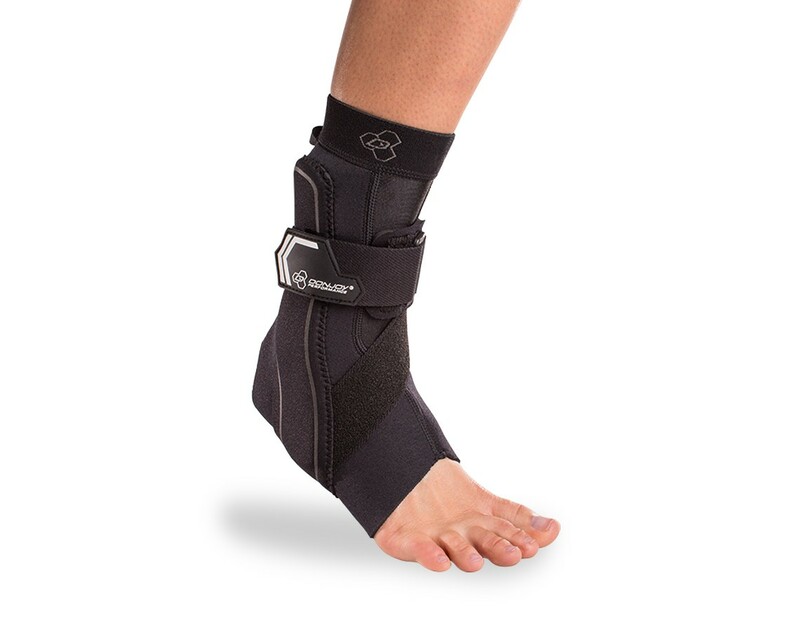 Would not be good for a fresh injury, but it works great as added support once the injury has improved enough to resume activities. It does not fit in a variety of running shoes or boots.